General purpose, multi-surface, bathroom, floor, and glass cleaners, as well as degreasers and more. 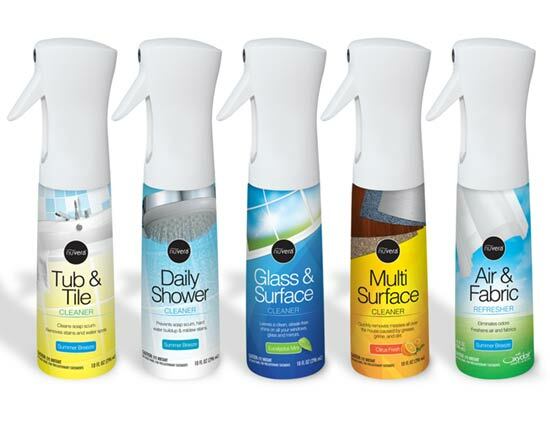 A line of specialty liquid spray cleaners in 24oz. and 16oz. black bottles with a black ratcheted trigger sprayer. 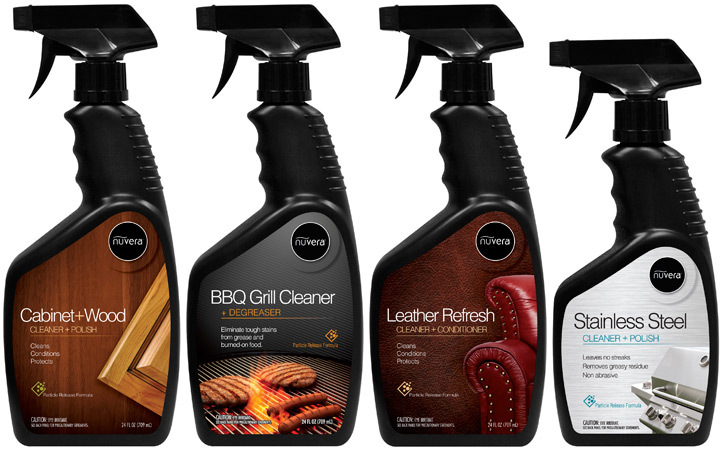 Includes Cabinet & Wood Cleaner/Polish, BBQ Grill Cleaner/Degreaser, Leather Cleaner/Conditioner and Stainless Steel Cleaner/Polish. 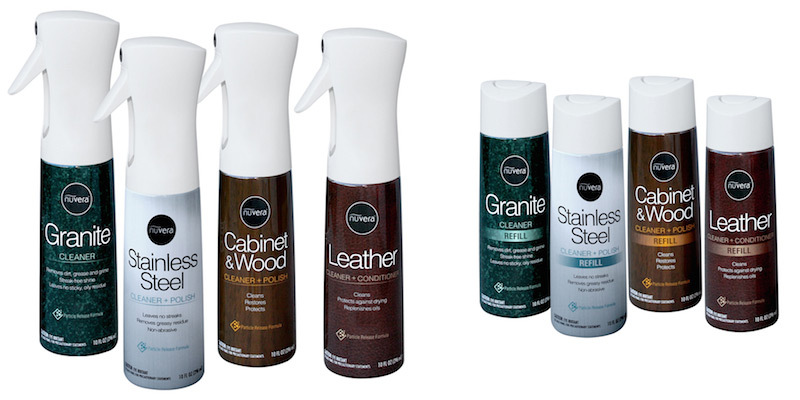 The fine mist sprayer is a non-pressurized propellant-free airless spray package with an aerosol-quality spray. Refill bottles are also available. 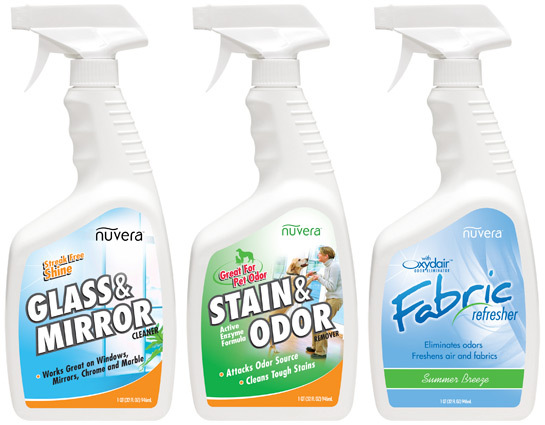 Nuvera specialty and cleaning products with flairosol fine mist sprayers. Specialty liquid decalcifiers in an 8oz. clear bottle with a twist cap. 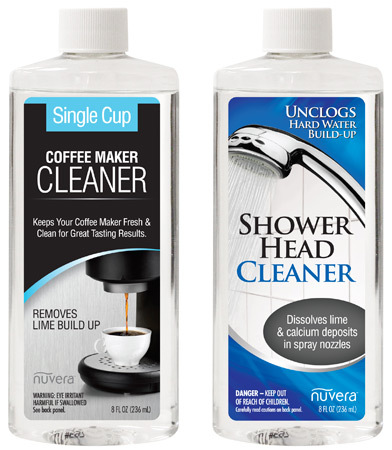 Includes Single-Cup Coffee Maker Cleaner and Shower Head Cleaner. A colored liquid spray gel degreaser in a 1qt. (32 oz.) clear bottle with a ratcheted trigger sprayer. 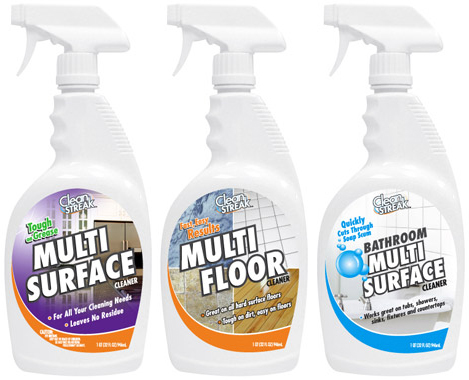 A liquid multi-surface floor cleaner in a 1qt. (32 oz.) matte-white handleware oval bottle with a push-pull closure. A liquid decalcifier for an iron in an 8.5oz. clear boston-round bottle with a twist cap. 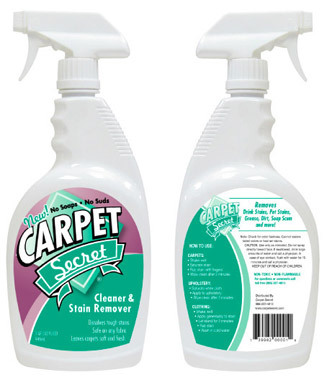 A liquid carpet cleaner and stain remover in a 1qt. (32 oz.) gloss white bottle with a ratcheted trigger sprayer. 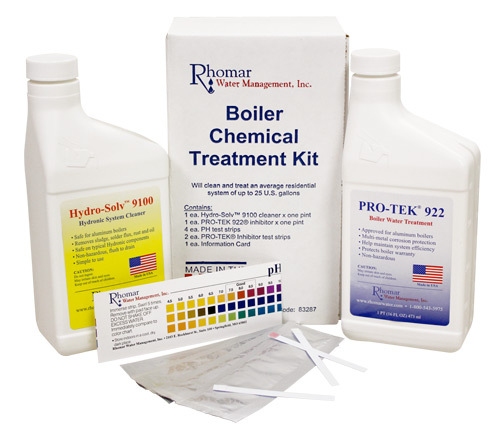 A water management kit consisting of a liquid cleaner and a liquid inhibitor in a 16 oz. white oil-style bottle with a twist cap. The kit also includes pH testing strips. A colored dishwashing liquid with lime scent in a 25oz. clear dish oval bottle with a push-pull closure. 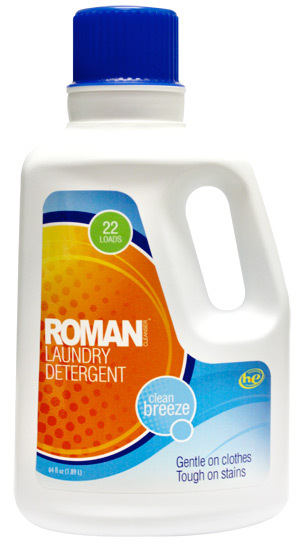 A liquid laundry detergent in a 64oz. matte-white bottle with a drain-back measuring closure. 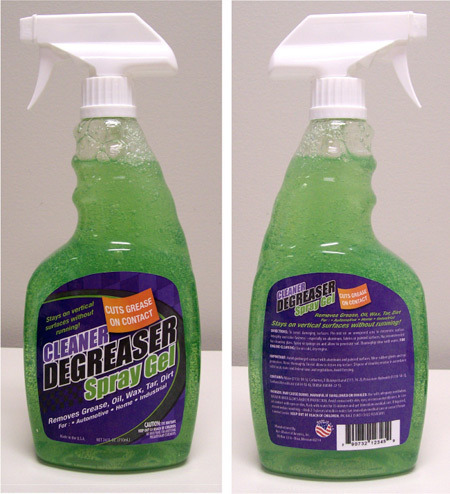 A multipurpose liquid cleaner and stain remover in a 1qt. (32 oz.) matte white bottle with a multi-colored trigger sprayer. A cream cooktop cleaner in an 8oz. gloss white bottle with a disc-top closure. 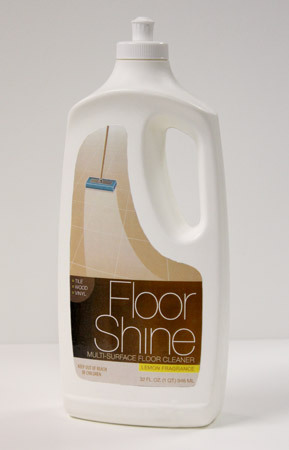 A liquid wood floor cleaner in a 1qt. (32 oz.) gloss white bottle with a custom-colored ratcheted trigger sprayer. 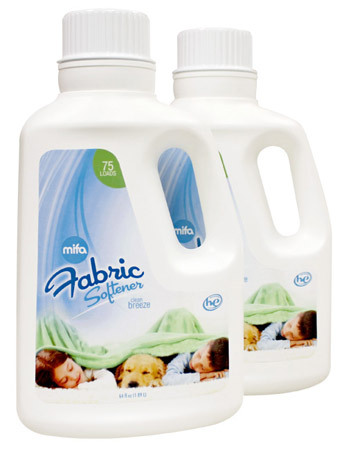 A liquid fabric softener with clean breeze scent in a 64oz. matte-white bottle with a drain-back measuring closure. A liquid truck bed cover cleaner and protector in a 16oz. black bottle with custom colored, ratcheted trigger sprayer.